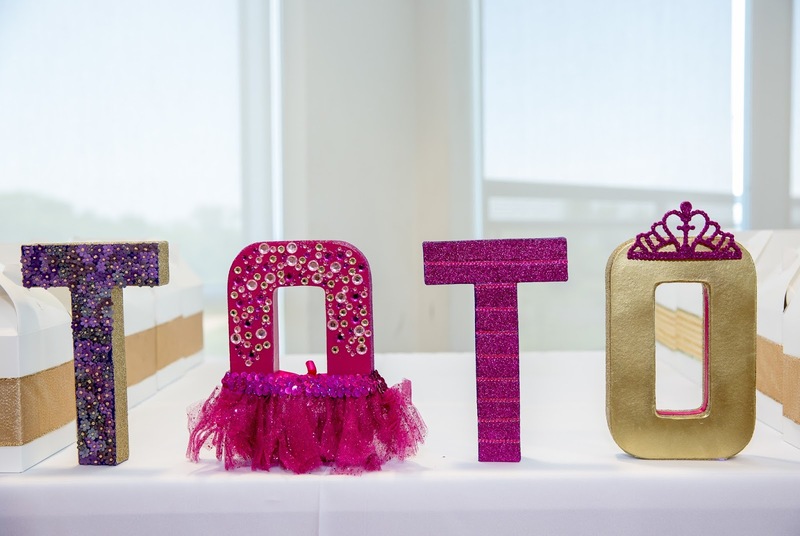 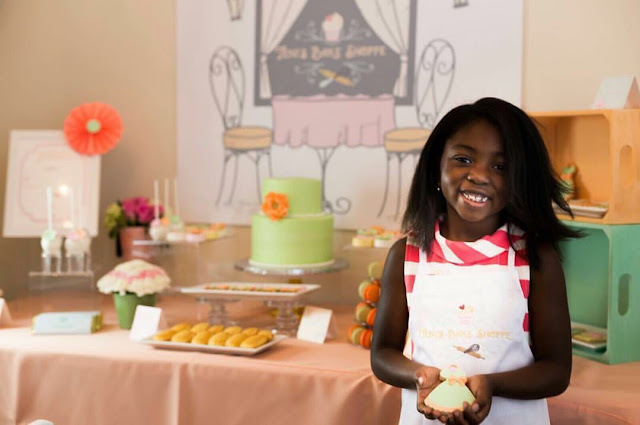 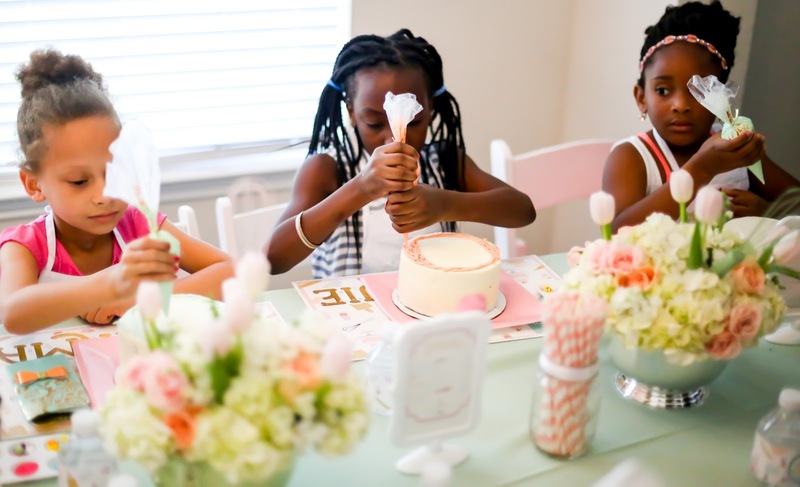 This summer we got to plan a party for a very special girl! 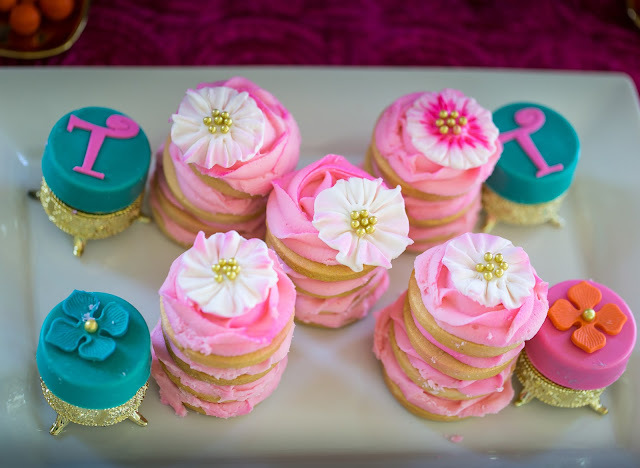 One of her favorite shows to watch is cupcake wars. 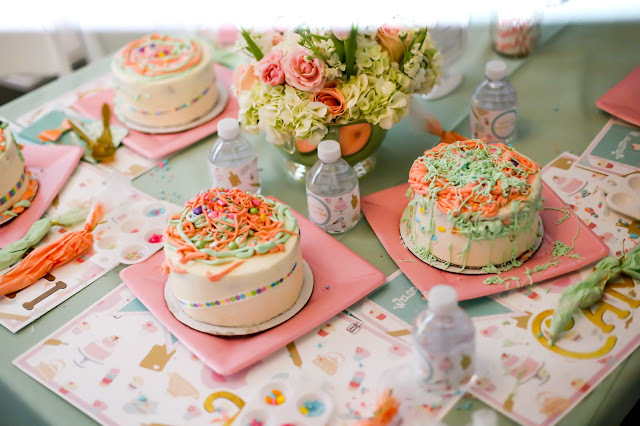 So what better theme than a bake party filled with lots of treats. 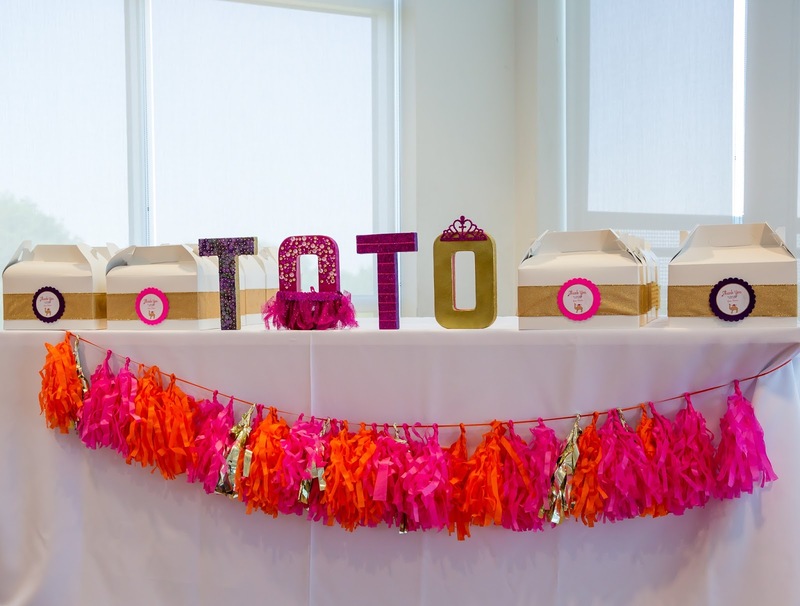 Below are some of the highlights from the party. Table Scape and printables by Amber Dominique Designs! Each girl had a placemat with their names on it. They also had a personalized favor box they got to fill with goodies from the dessert table. 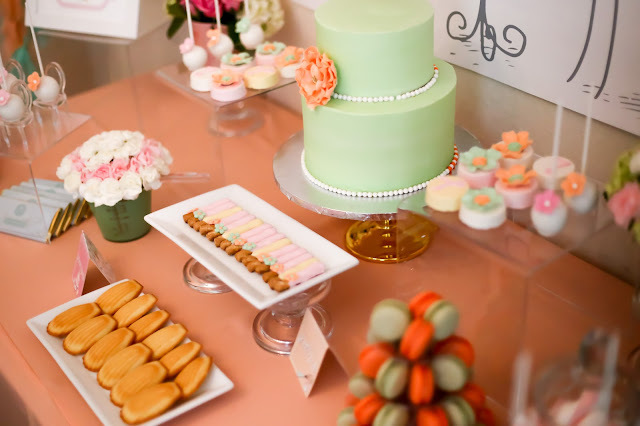 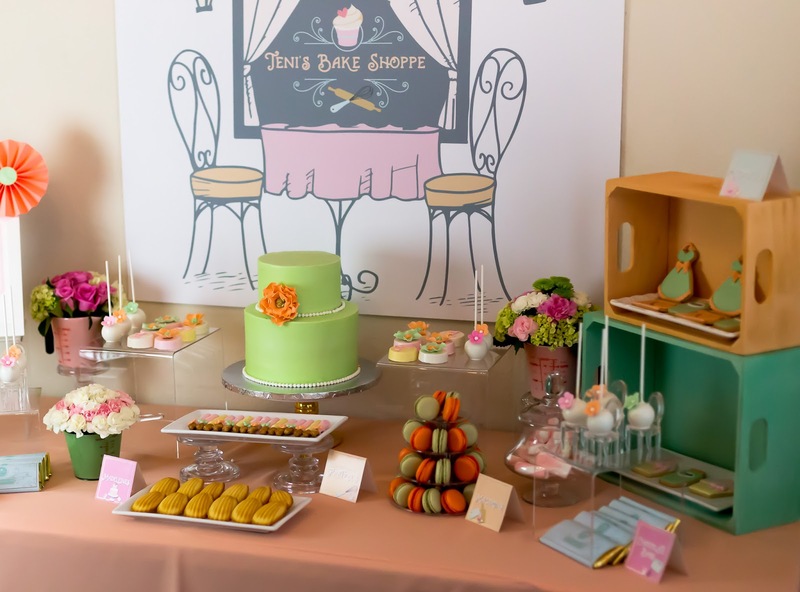 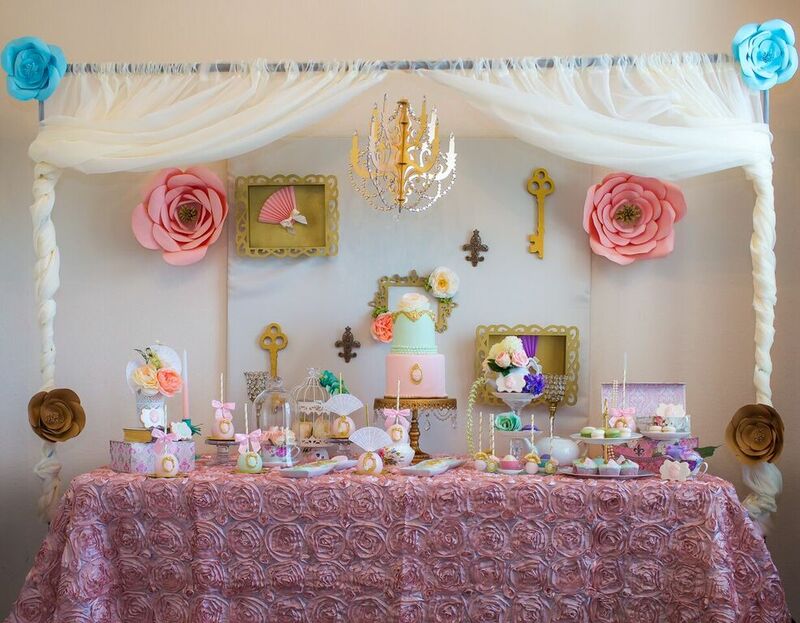 Closer look at the dessert table. 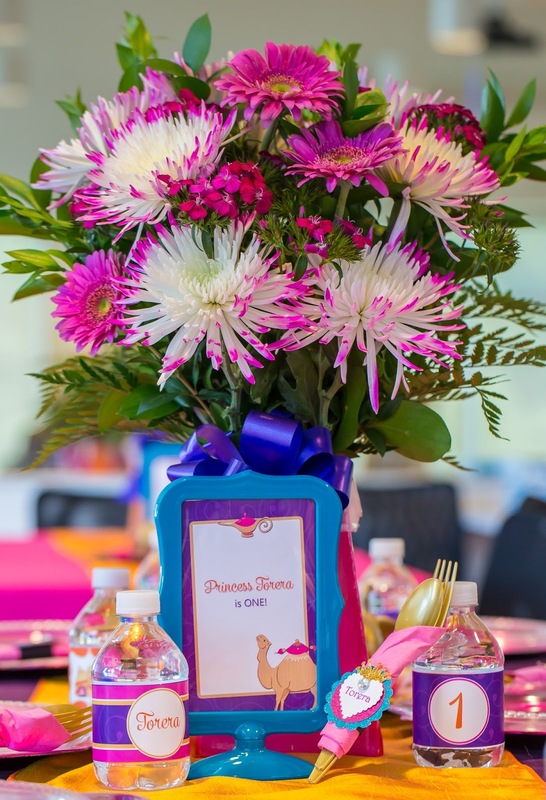 We used measuring cups we spray painted as vases. 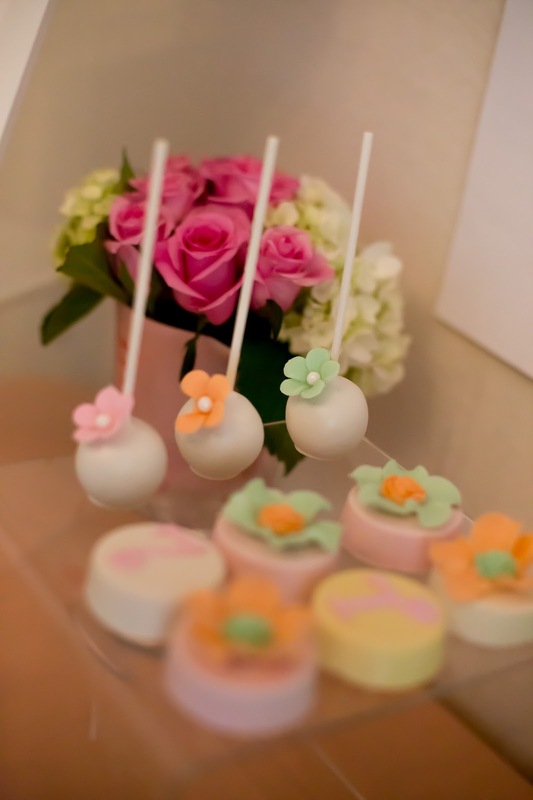 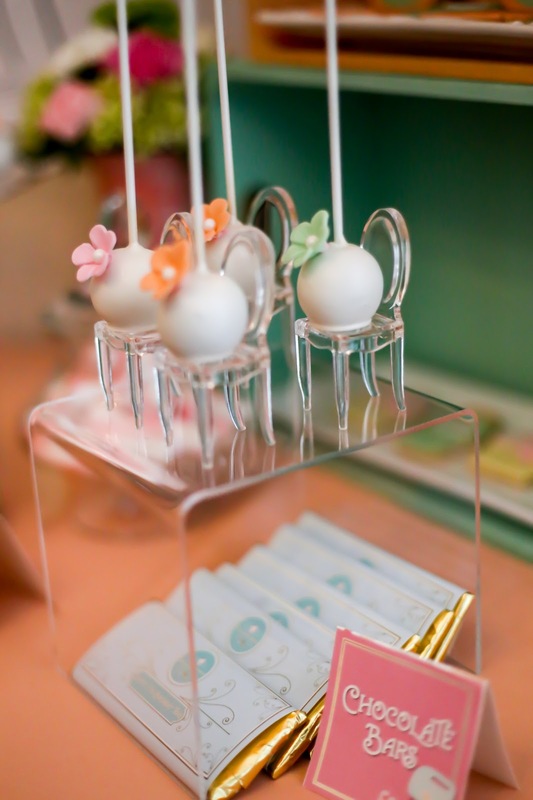 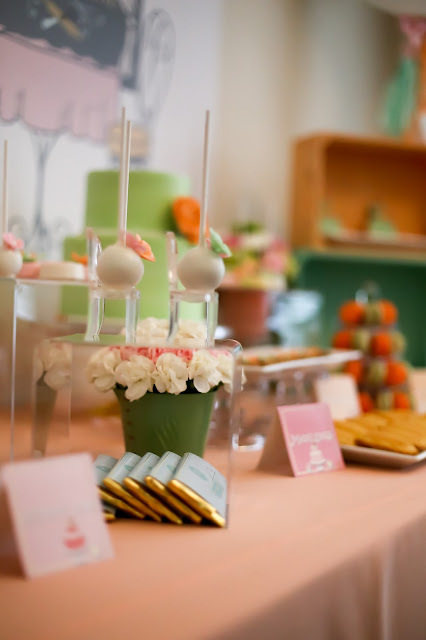 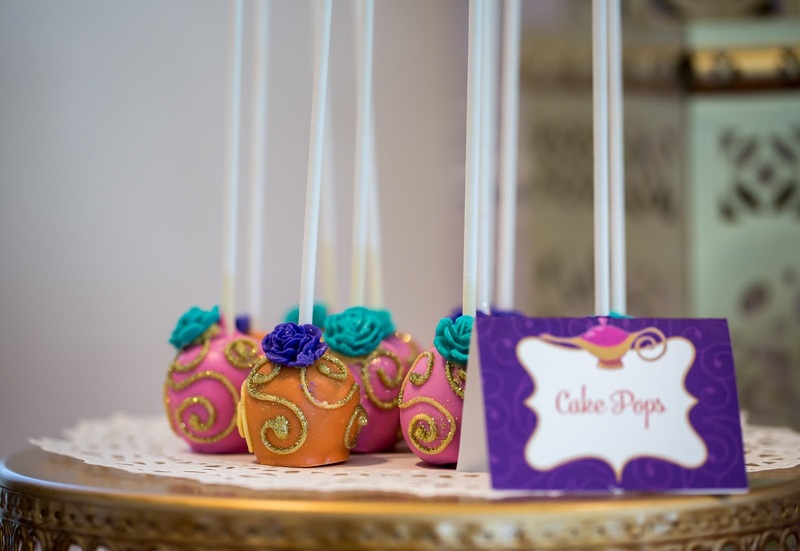 We had cake pops sitting on mini ghost chairs and also had personalized chocolate bars. 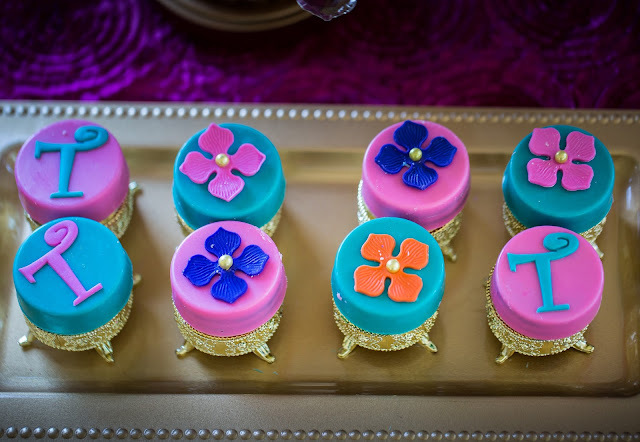 The guest each had a six inch cake they had to decorate and what a wonderful time each girl had icing and making fondant molds. An Arabian theme fit for a Princess. Three things make a party memorable – the décor, the food and the music. When The Art of Finesse plan a party we pull all the stops to make sure it’s a memorable event for the hosts and attendees. 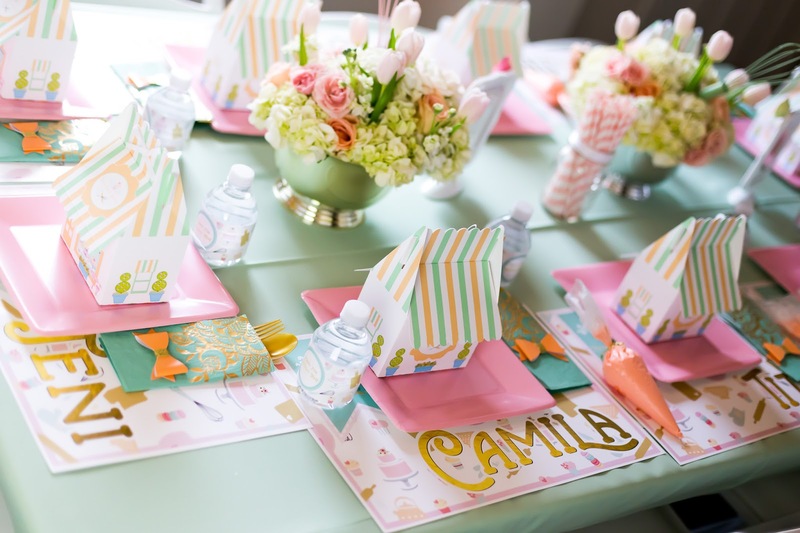 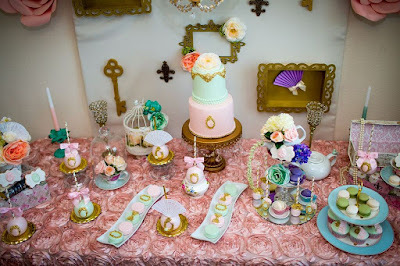 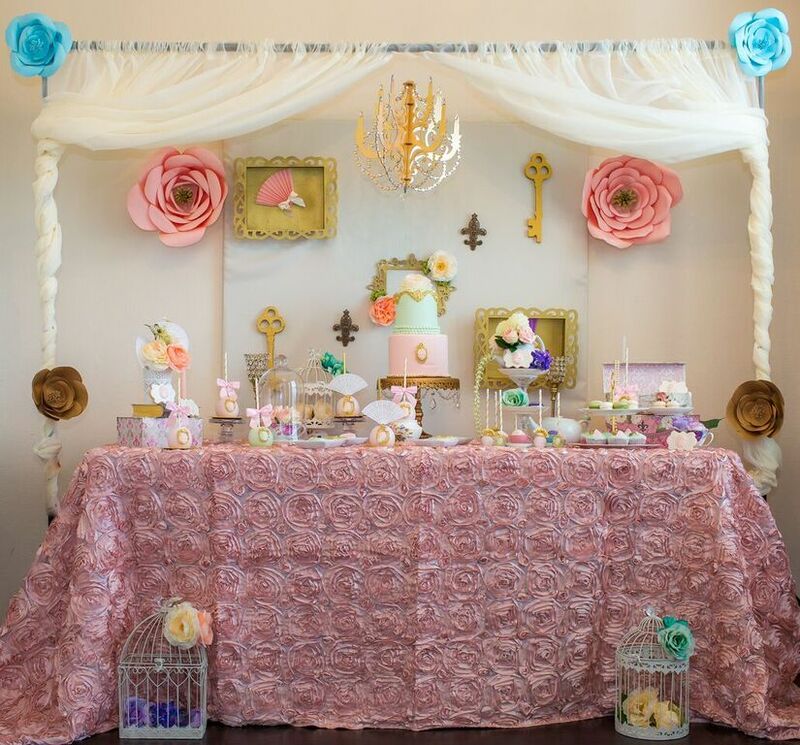 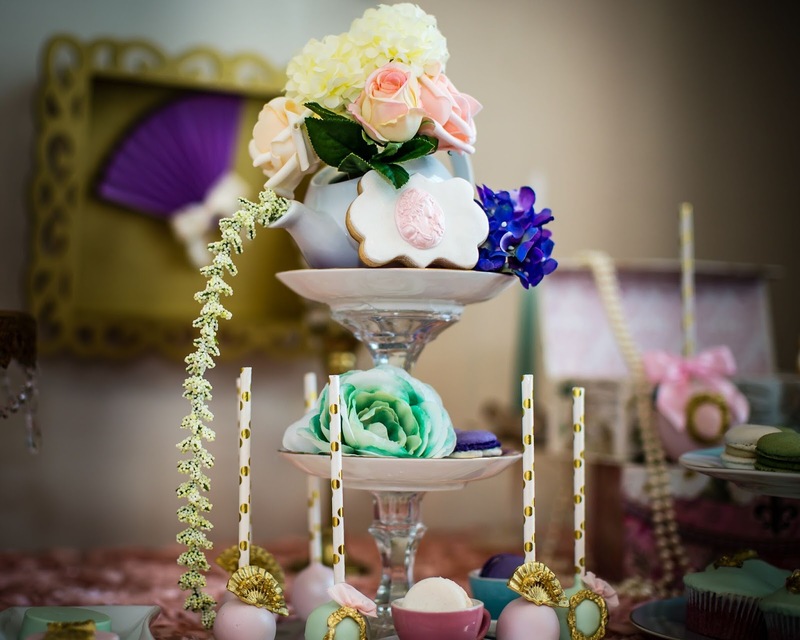 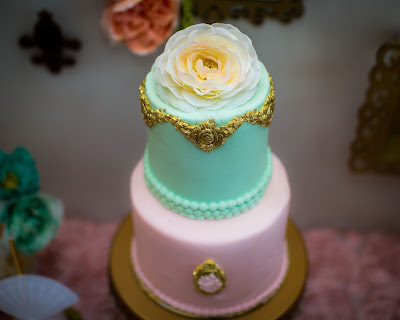 We had the pleasure of planning a colorful Arabian themed birthday party fit for a little princess who just turned one. 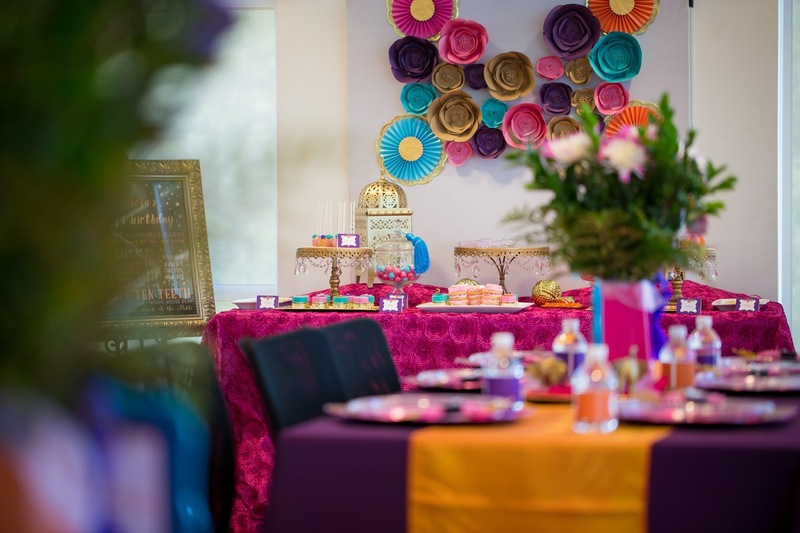 We were inspired by the vibrant silks, spices and architecture Arabians are known for.Three things make a party memorable – the décor, the food and the music. 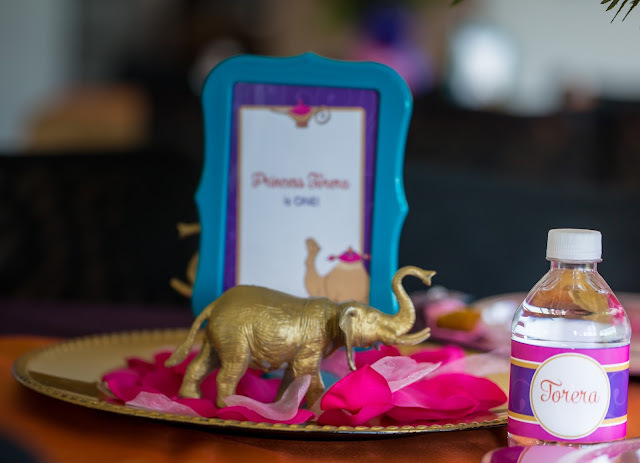 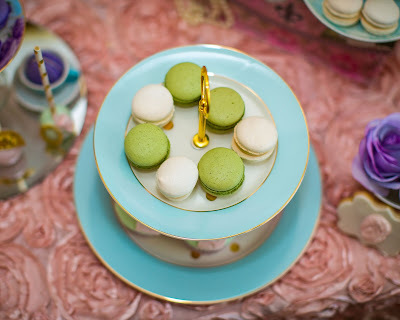 We chose a palate of five colors – Orange, Turquoise, Fuchsia, gold and purple, that we used to create a coherent yet whimsical custom back drop.The gold lanterns on the dessert table added a boho-luxe-chic look that one would expect if they stepped into a Bedouin tent. 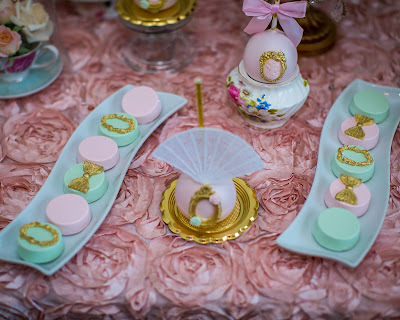 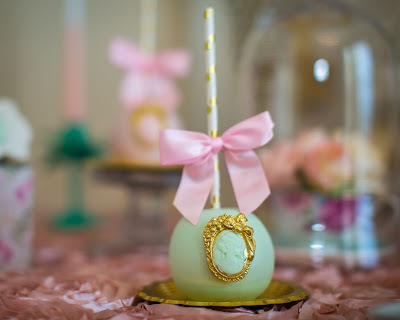 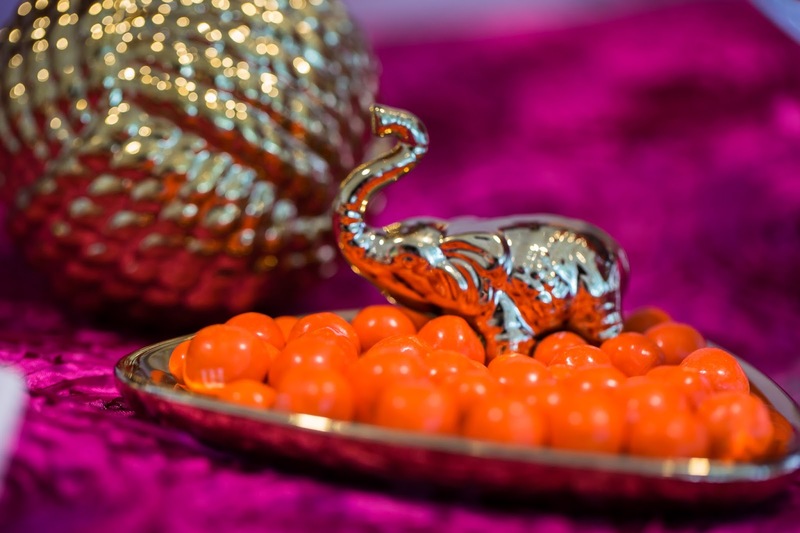 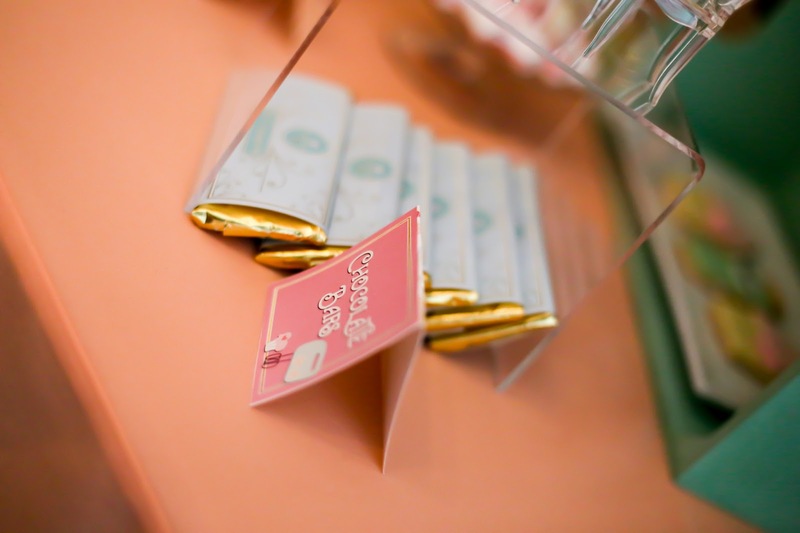 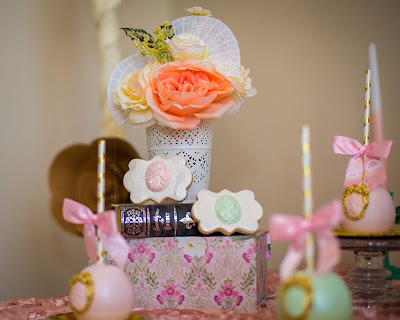 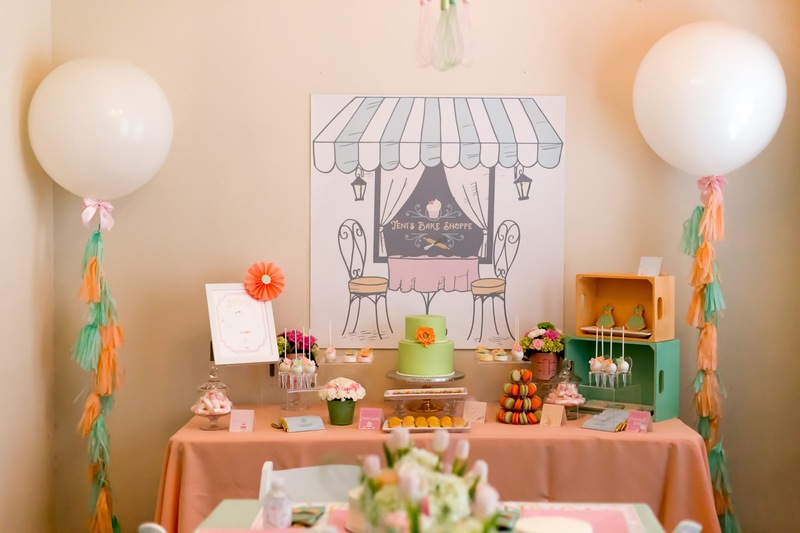 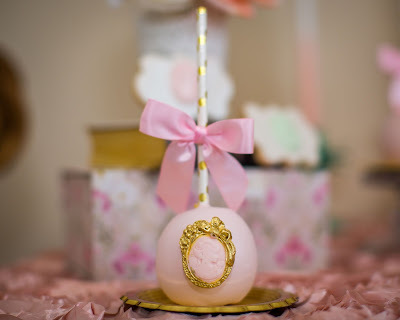 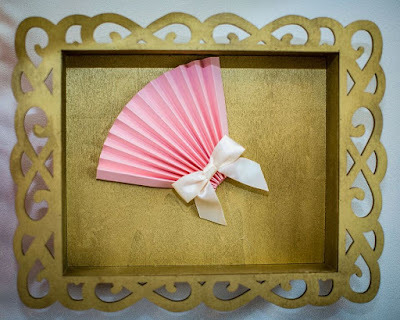 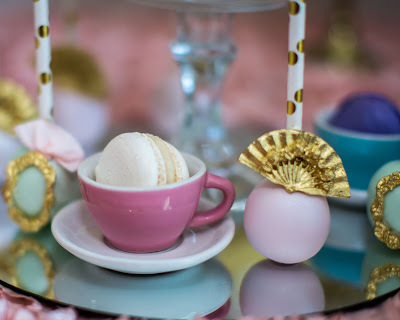 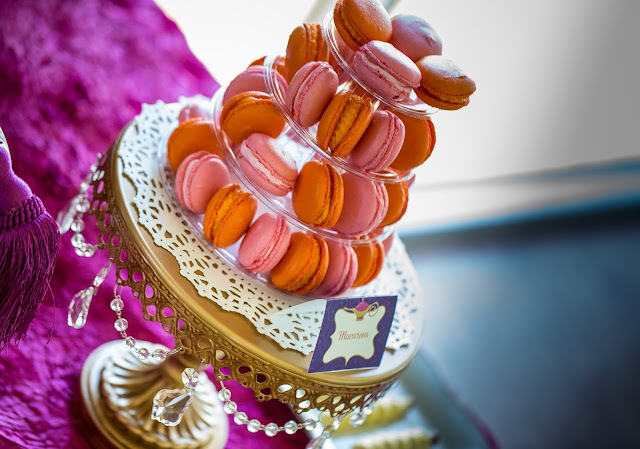 We managed to create a very elegant theme that was fun and also age appropriate, by adding little details, like the golden elephants in the candy bowl. 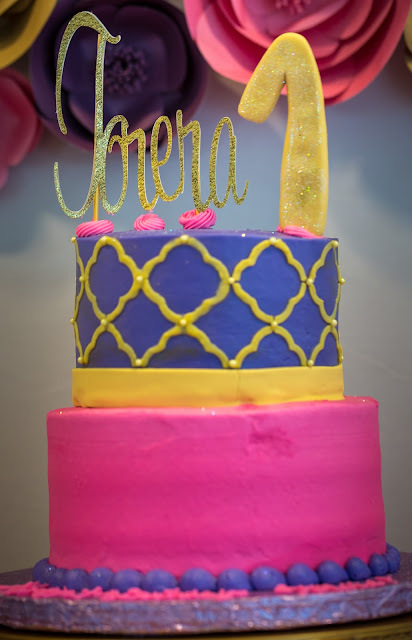 The cake was another hit with the vibrant colors. 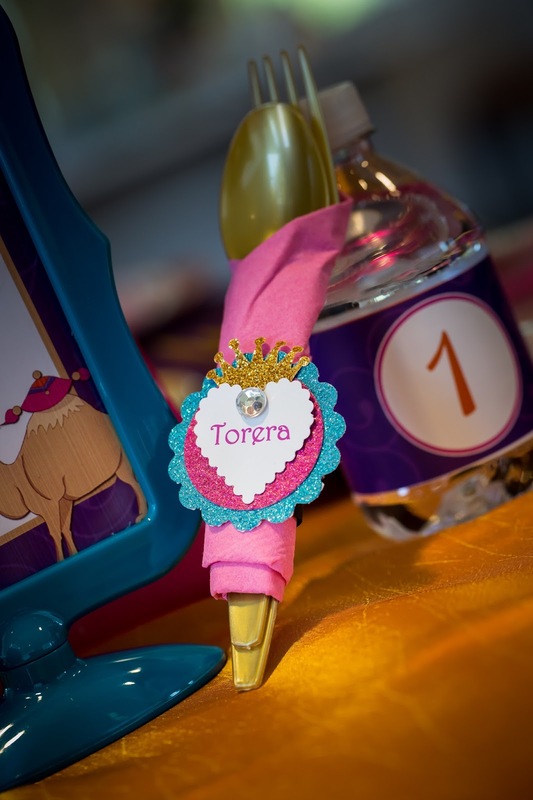 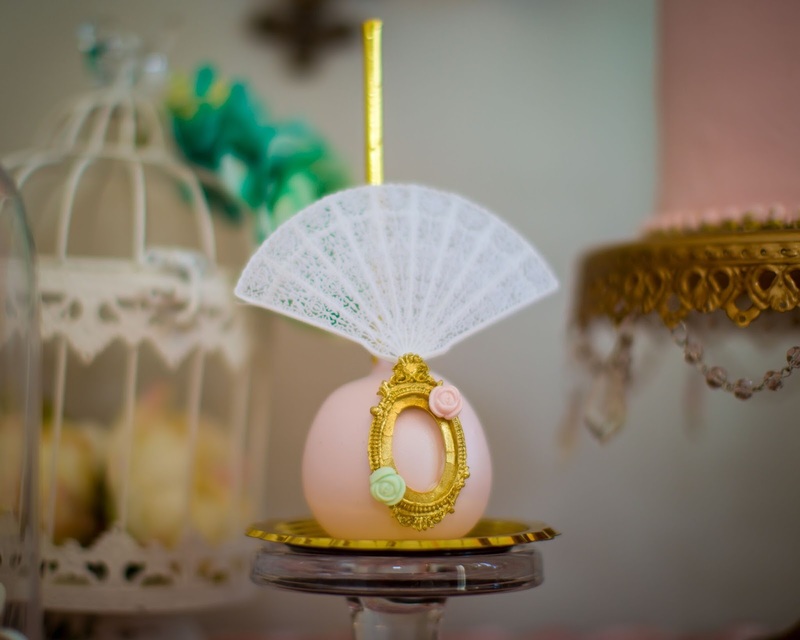 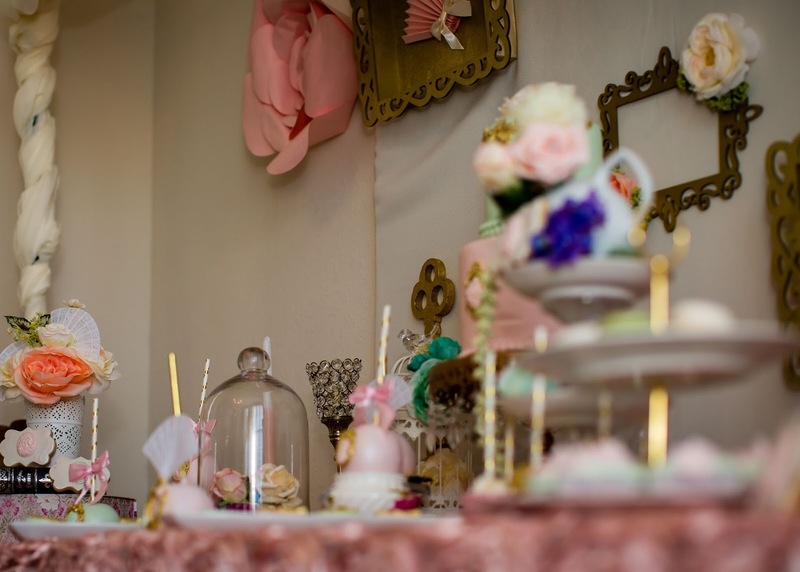 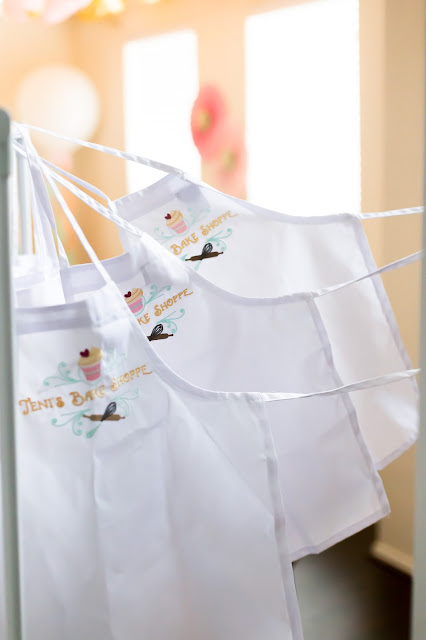 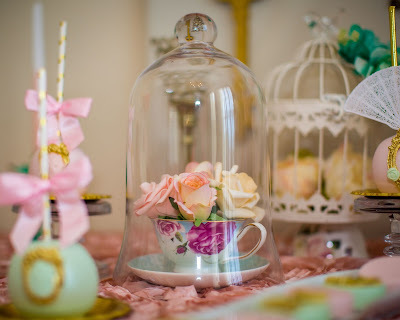 No detail was spared - we wanted the little princess to have the most magical day. I'm Nike! 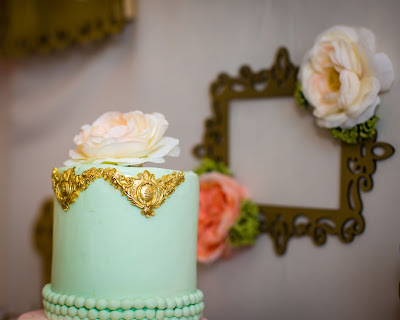 I am a Party Stylist, Event Planner and co owner & Founder of The Art of Finesse. 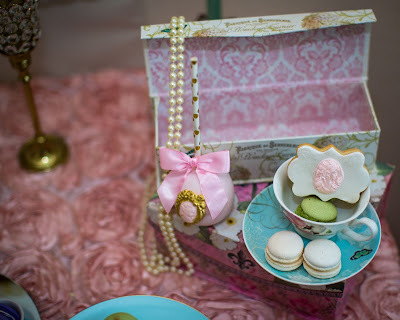 You can read more about me here. 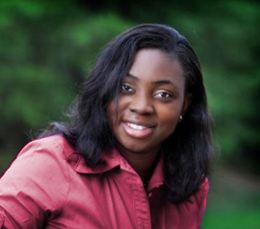 I'm Fisola! 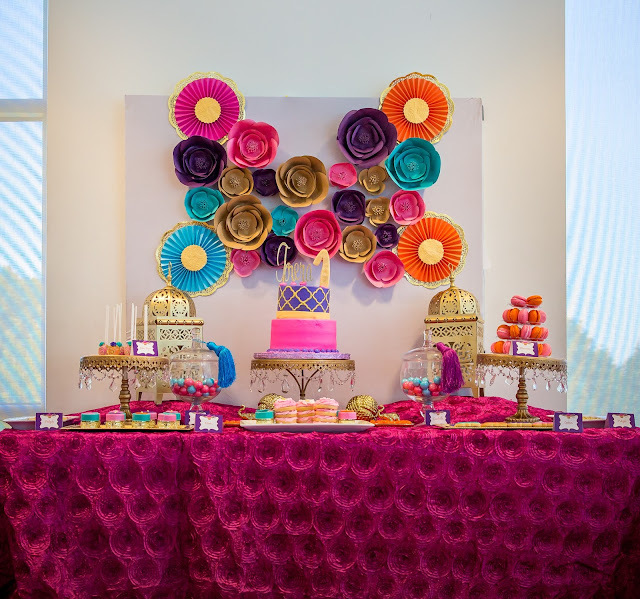 I am a party stylist, event planner and co owner of The Art of Finesse.